Richmond is breaking in a new quarterback this season after the graduation of 2017 CAA player of the year, Kyle Lauletta. Through three games, Kevin Johnson has not looked out of place behind center. Johnson and the rest of the Spiders offense struggled against FBS Virginia. But in the two games since against Fordham and St Francis (PA) Johnson and the Richmond offense have put up 87 points. 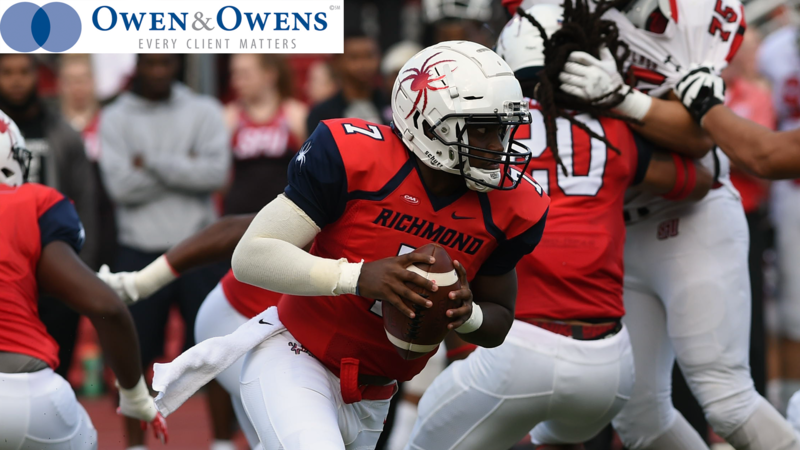 THe defense gave up 27 points against St Francis, calling into question how the Spiders will fair in CAA play when they face much more potent offense than what they have seen so far. The Spiders will have to run the ball more consistently in the CAA schedule to be successful and not rely fully on Johnson. Fantasy Bonus Baby: WR Dejon Brissett is averaging 101 yards per game early in the season after only catching three passes for 22 yards in the opening game against UVA. Brissett scored a touchdown in the win against St Francis. Johnson has looked for Brissett early and often in the last two games. Expect more of the same this weekend against Stony Brook. Brisset should go over 100 yards and could add a touchdown or two. Expect double digit targets to come his way. 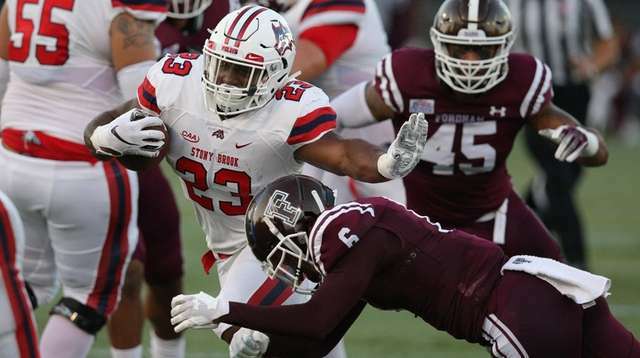 Stony Brook has won its last two games after starting the season by being shut out by FBS Air Force. Despite the 2-1 record, quarterback Joe Carbone has struggled, completing less than 40% of his passes. Carbone only completed 56% of his passes in 2017, but at this point, that would be a significant improvement. 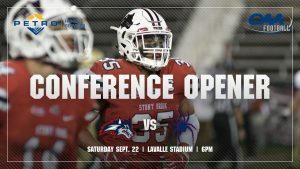 The Seawolves have also been ticketed with 82 yards per game of penalties, which keeps them playing catchup in down and distance. 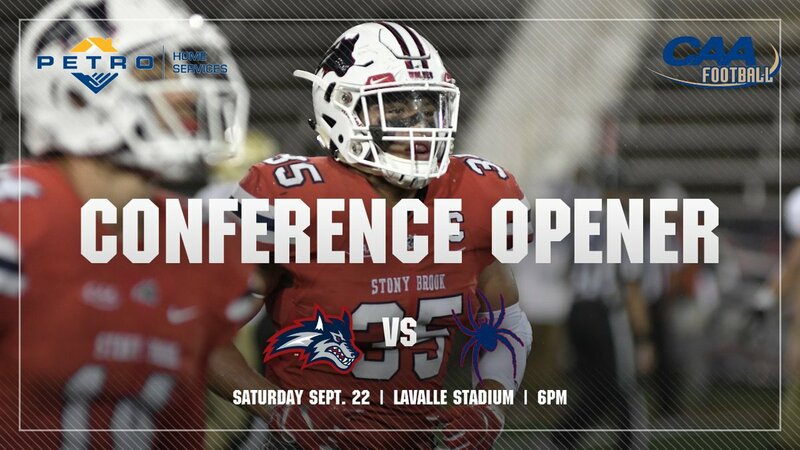 The positive for Stony Brook has been the run game, averaging 204 yards per game, led by the two headed backfield of Jordan Gowins and Donald Liotine. The defense has been decent, but there is room for improvement against the run. Key Player: QB Joe Carbone has not been good to start the season. The Seawolves lost their top two receivers from 2017 to graduation and it has shown as they try to work in new pass catchers. Carbone will need to increase his completion percentage to make teams respect the pass so that they can work the run game to their benefit. Getting to play against the Richmond defense may be what Carbone needs to get on track. Fantasy Bonus Baby: RB Jordan Gowins has run for 306 yards on just 34 carries and two touchdowns in the last two games. He will need to duplicate those efforts against a touch Richmond defense. The Seawolves will want to establish the ground game with Gowins and his backfield mate, Liotine. Look for Gowins to carry the load for over 100 yards yet again.